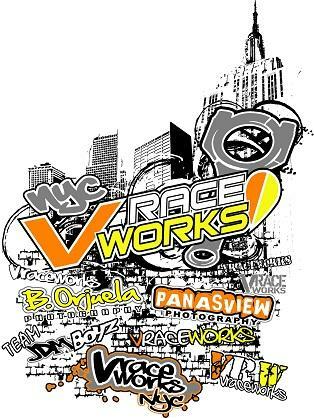 VRW-PPTS-1 $18.99 Notes New VRaceWorks "The Life Styles" T-Shirts 2011.Please include the shirt size in the comments section when checking out. VRW-PPHD-1BK $49.99 Notes New VRaceWorks VRWCM Hoodies (BLACK)Please include the size in the comments section when checking out. VRW-PPTS-2 $20.00 Notes New VRWCM Long Sleeve T-shirt -Please include the shirt size in the comments section when checking out. VRW-PPTS-3 $20.00 Notes New VRWCM Short Sleeve Vneck T-shirt - ** Please include the size and color (White or Black) in the comments section when checking out. VRW-PPTS-4 $22.00 Notes New VRACEWORKS Summer 2013 Short Sleeve Vneck T-shirt - ** Please include the size in the comments section when checking out. VRW-PPTS-5 $18.00 Notes New VRACEWORKS Summer 2013 TANK - ** Please include the size and color BLACK w/Gold or WHITE w/Red in the comments section when checking out. 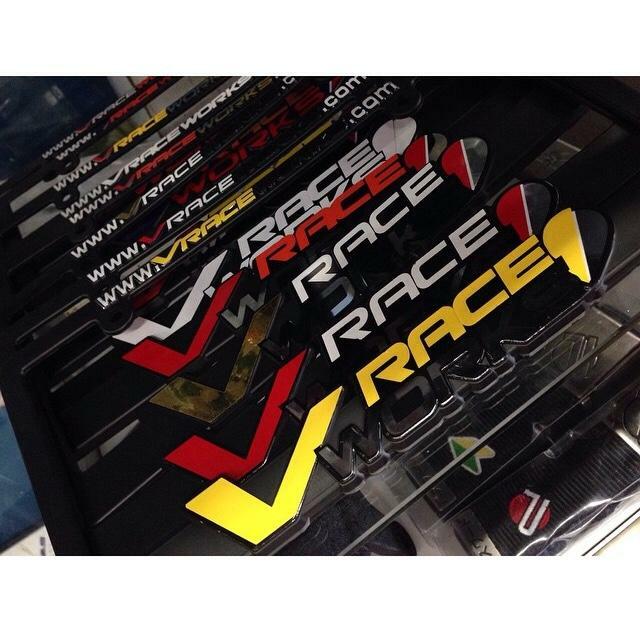 VRW-PPLP-R1 $8.00 Notes VRaceWorks RUCKUS / Motorcycle Plate Frame - Shiny Like New Money Platinum Edition. VRW-PPHD-1YEL-BLU $49.99 Notes New VRaceWorks VRWCM Hoodies (Yellow/Blue Lettering)Please include the size in the comments section when checking out. VRW-PPHD-1RED-WHT $49.99 Notes New VRaceWorks VRWCM Hoodies (Red/White Lettering)Please include the size in the comments section when checking out. VRW-PPHD-1BLU-YEL $49.99 Notes New VRaceWorks VRWCM Hoodies (Blue/YellowLettering)Please include the size in the comments section when checking out. VRW-PPHD-1GRN-BLK $49.99 Notes New VRaceWorks VRWCM Hoodies (Green/Black Lettering)Please include the size in the comments section when checking out. VRW-PPHD-1PNK-PUR $49.99 Notes New VRaceWorks VRWCM Hoodies (Pink/Purple Lettering)Please include the size in the comments section when checking out. VRW-PPHD-1WHT-PNK $49.99 Notes New VRaceWorks VRWCM Hoodies (White/Pink Lettering)Please include the size in the comments section when checking out.